Bill Windsor has been charged with violating a Montana protective order from his home in Dallas, Texas. ...but they have NO SUCH EVIDENCE. Jennifer Clark, Tyler Dugger, and Kirsten Pabst have committed prosecutorial misconduct and have filed false pleadings with the Missoula Montana Courts. As there is no evidence, there is no probable cause for the five criminal charges against Bill Windsor, and Jennifer Clark, Tyler Dugger, and Kirsten Pabst have filed false sworn pleadings with the courts. Jennifer Clark, Tyler Dugger, and Kirsten Pabst, where's the evidence? Bill Windsor says you have produced no such evidence, and you told Judge James A. Haynes that ALL evidence had been provided. As Bill Windsor has sworn under oath that he never intentionally committed any crime, the only honorable thing for you to do is to dismiss all charges. He has repeatedly offered to be polygraphed. If you don't dismiss all charges, it simply provides further proof that you are dishonest, corrupt, and have a void of moral and ethical values. To convict Bill Windsor of violating a protective order, the jury must decide that, BEYOND A REASONABLE DOUBT, Bill Windsor intended to commit a crime when he allegedly sent a Tweet, emailed an attorney for the University of Montana, published the words "Sean Boushie" online four times in two legal documents, and filmed a movie and pilot for a TV show exposing Sean Boushie and the University of Montana as criminals. The State's five witnesses are Sean Boushie, Detective Chris Shermer, attorney Claudia Denker-Eccles, attorney Lucy France, and IT guy Adrian Irish. Bill Windsor has never spoken with any of these people, and his only communication with Sean Boushie, Claudia Denker-Eccles, and Lucy France has been legal filings. So, the State has NO ONE who can testify as to what Bill Windsor's mental state was over nine months in Dallas, Texas. And William M. Windsor has already sworn that he never intentionally violated any alleged protective order. The State doesn't even have admissible evidence to prove that Bill Windsor did any of the five heinous crimes that he is accused of -- Tweet, email, and publishing -- much less evidence that he intentionally violated a protective order...from Texas, where there was no protective order. Someone has told Jennifer Clark, Tyler Dugger, and Kirsten Pabst to pursue these charges against William M. Windsor. All except Tyler Dugger are smart enough to know that Bill Windsor has not committed any crime and that there is no evidence that he did. A person with inside information has reported that Bill Windsor generated the proof that the University of Montana is involved in criminal activity to attempt to silence whistleblowers. Because of the evidence that Bill Windsor has, they set out to try to stop him. University of Montana President, Royce Engstrom, and the U.S. Department of Homeland Security are involved. What other government entities are involved? 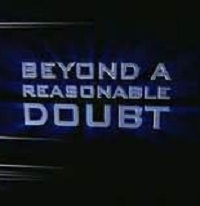 The only things that are beyond a reasonable doubt are that (1) Bill Windsor is a victim of corruption by Jennifer Clark, Tyler Dugger, and Kirsten Pabst, and the University of Montana, and (2) Sean Boushie and his employer, the University of Montana, are criminals. Oh, and one other thing is beyond a reasonable doubt: There is no doubt that Bill Windsor, a senior citizen with absolutely no criminal record whatsoever, has spent 134 days locked up in jail and denied bond because of what Jennifer Clark, Tyler Dugger, and Kirsten Pabst have done to him...along with their co-conspirator, Ellis County Texas District Attorney Patrick Wilson.